Looking for crystals for stress relief and stress management? These 6 crystals can help you reduce stress at work or at home. 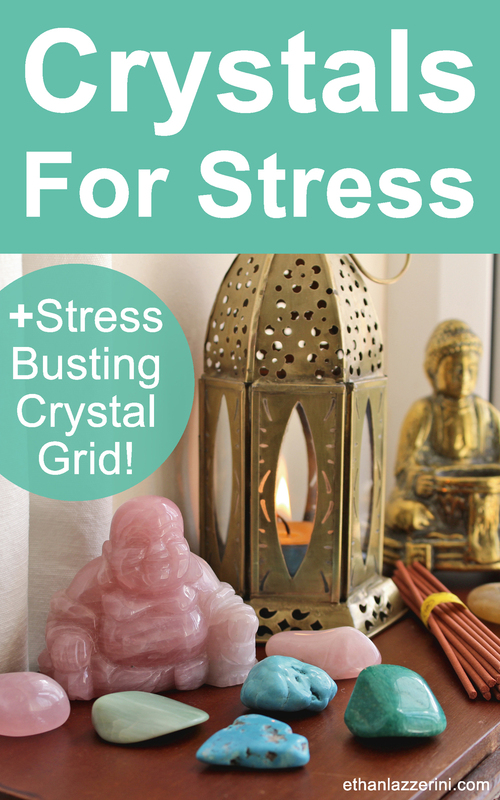 Try my stress busting Crystal Grid for instant relaxation. Stress is a normal part of life but too much stress over a period of time will take its toll on your health. There are lots of things you can do to keep stress under control but crystals are also something you may want to consider trying. Because of their size and many forms they are easy to use as part of your daily life without anybody knowing. You can carry these stones in your pocket or wear them as any type of jewellery. 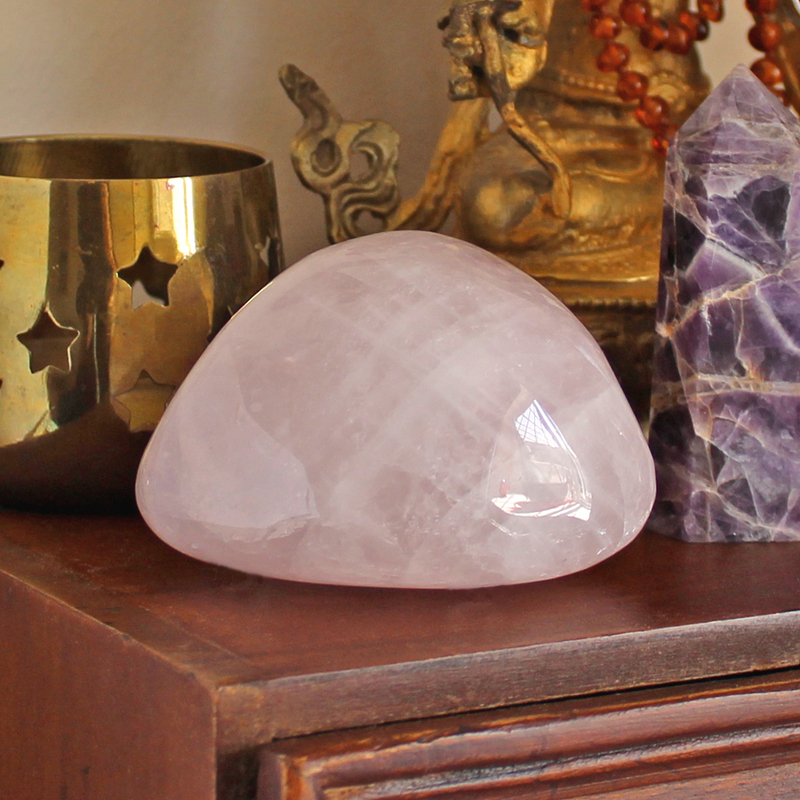 If you work or live in a stressful environment you may also wish to have a large crystal placed near you. 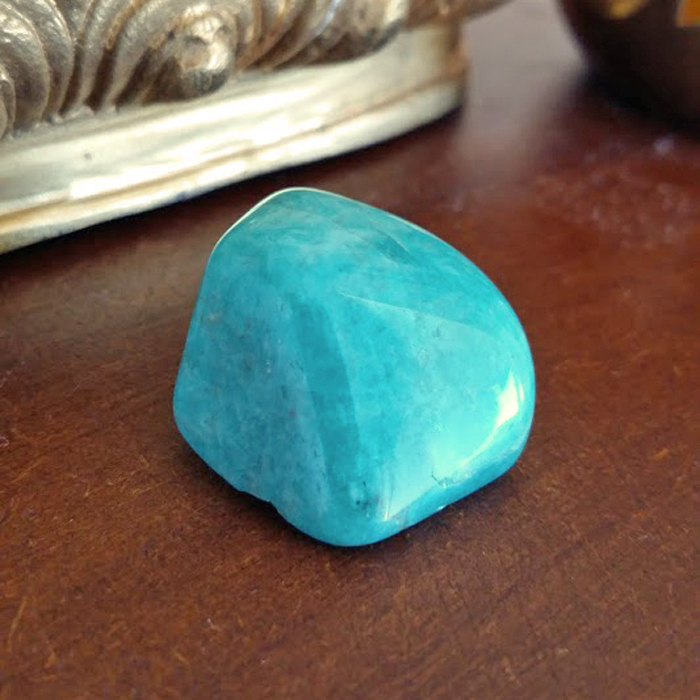 Turquoise is one of the best crystals for stress relief and worry. This blue to blue green crystal absorbs stressful energies. Turquoise also emits a calming vibration and can help you bring back your chill. A form of Serpentine with banding. This soothing green stone reduces stress and worry. Infinite envelopes you in a relaxing and calming energy which clears the aura. Rose Quartz is a gentle but effective crystal for managing stress. This ever ready pink stone comforts in times of emotional stress and discord. 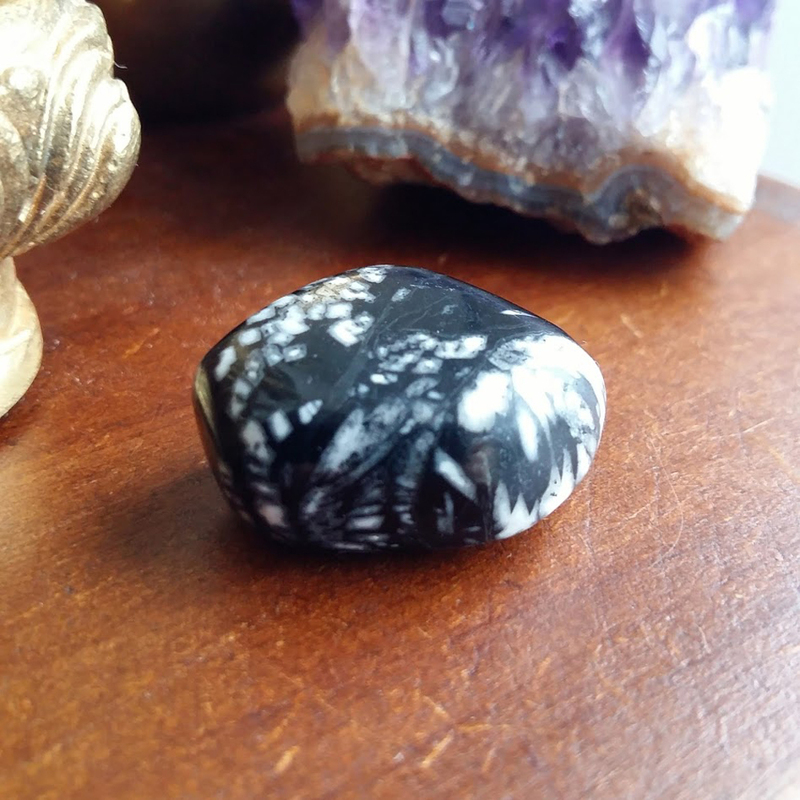 Chrysanthemum Stone helps keep you grounded while absorbing negative energies caused by stress. It also works to protect against further harmful energies from entering the aura. Another stone of the Heart Chakra. Amazonite helps reduce stress and brings inner peace. 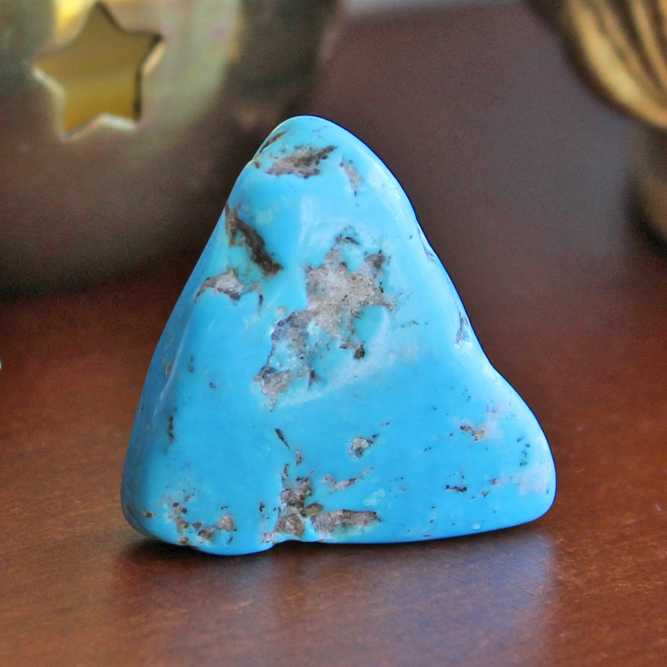 Use Amazonite to keep calm and balance the emotions. 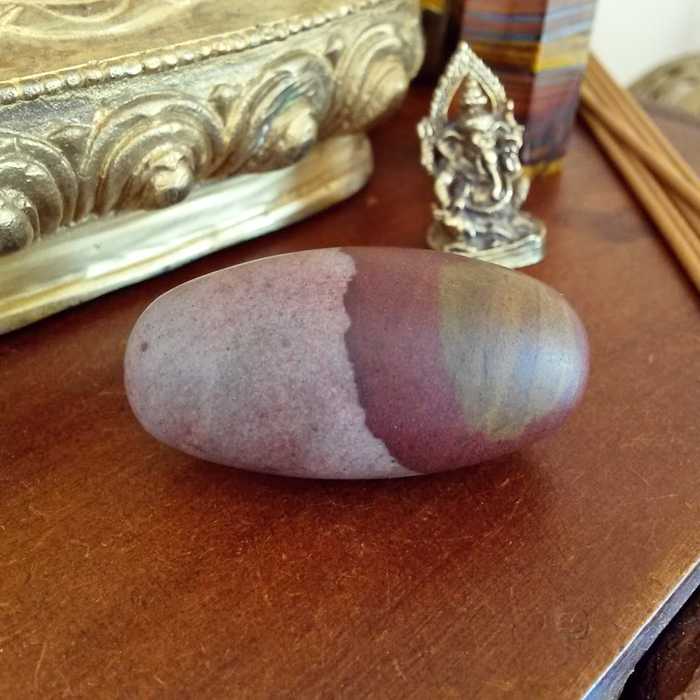 These unusual looking polished Indian stones make excellent worry stones and absorb the energies of stress. Shiva Linghams also help reduce anxiety of things which feel like they are weighing down on you. This is a high impact way of using crystals for stress relief and defiantly worth trying at the end of a long day. This type of Crystal Grid is designed to be placed around your body. You arrange the crystals in the pattern shown below and just allow the crystals to relax you. The crystals only need to be in place for 15 to 20 minutes to work their magic! I have designed this grid from my for my forthcoming book so that it can be customised for your personal needs. First decide which type of stress you are under. Is it Mental Stress, Emotional Stress or Work/Financial Stress? You can work on one, two or all three types of stress at once. 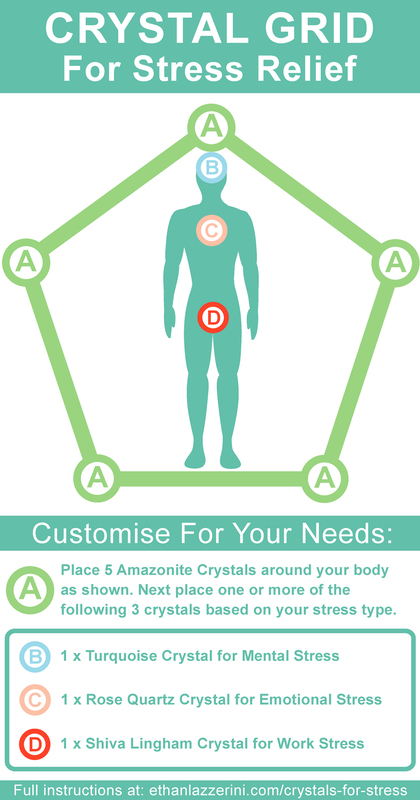 When creating the Crystal Grid just place the appropriate crystal or crystals for stress on your body as indicated in the diagram below. These three location are also Major Chakras. Position B is the Third Eye Chakra. Position C is the Heart Chakra. Position D is the Root Chakra. 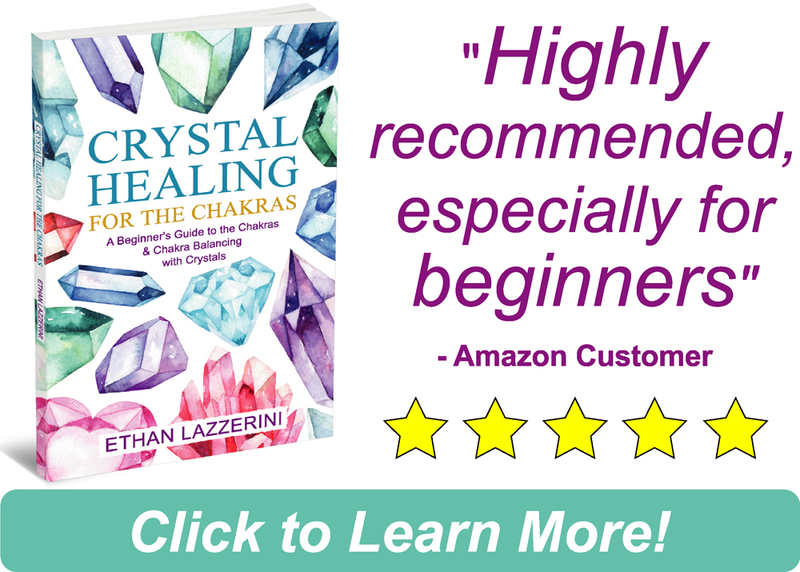 To learn more about chakras and their relation to crystals check out my book Crystal Healing For The Chakras. 1 – Hold all the crystals in your hands raised to just above eye level. Close your eyes and focus on them and say out loud or in your head something like “I program these crystals to relieve all stress“. 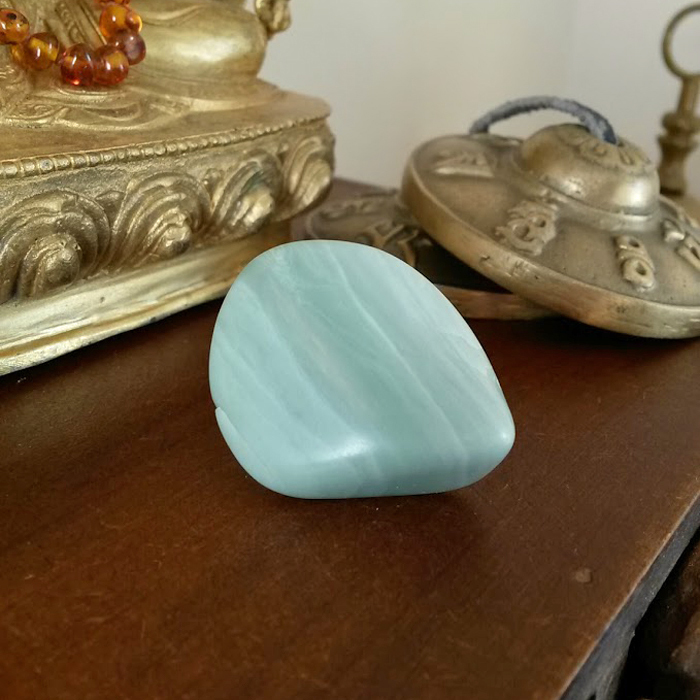 2 – Place the 5 Amazonite crystals in a pentagon shape (A) on the floor or a bed. This must be big enough for you to lay inside it. 3 – Lay down inside the Amazonite crystals and place one, two or three of your chosen crystals on your body as shown (B,C & D). 4 – Close your eyes, take three deep breaths and relax for 15 to 20 minutes. 5 – Afterwards remove all the crystals, cleanse them and deprogram them before you put them away. 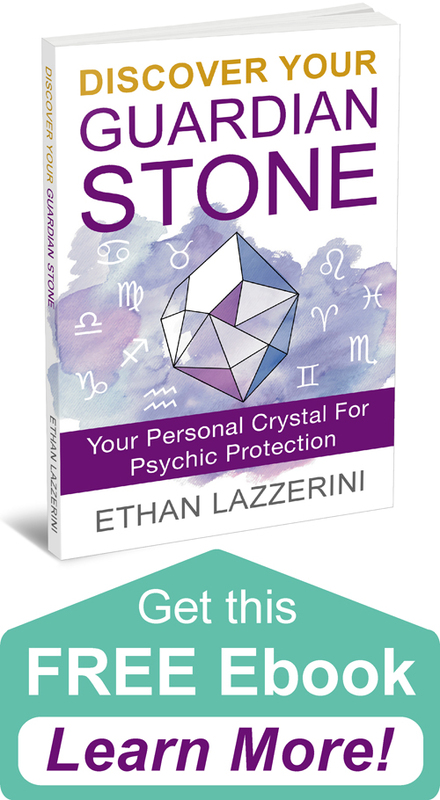 If you want to learn more about Crystal Grids and Sacred Geometry, check out my No.1 Bestselling Book Crystal Grids Power. What other crystals do you find help you reduce or manage stress? I would love to hear from you in the comments below. (Please keep any questions you have on topic if you want a response). ← Can You Carry Or Wear Too Many Crystals? I appreciate your knowledge and wisdom regarding crystals and thank you for sharing it. Have you thought of opening a school for crystal healing? 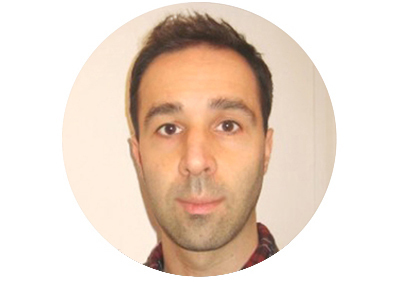 Your teaching style is approachable and effective–I would like to attend one but am looking for just the right feeling: genuineness. No pressure, just an observation. Thanks again! Hi Rachel, thanks for your feedback and great idea. It is something that I am definatly considering for some point in the future. Glad you are enjoying the info! How do you deprogram a crystal? Also in using stones for clearing each of the chakras. Do they need to be programmed first before using them for that? There is an article on deprogramming crystals here: How to Deprogram a Crystal You can use stones on the Chakras without any programming but if you keep a dedicated Chakra Set you may want to consider doing it, but it is your choice. Hi there, you mentioned a starter kit for beginners, must haves. Do you know where I can go to get those crystals in one set? , Instead of having to but then each separately? Hi Michelle, no I am sorry I don’t. All those crystals are easily available and any good crystal shop should have all of them in tumble stone form. Very informative, exactly what I needed to know, Thank You.